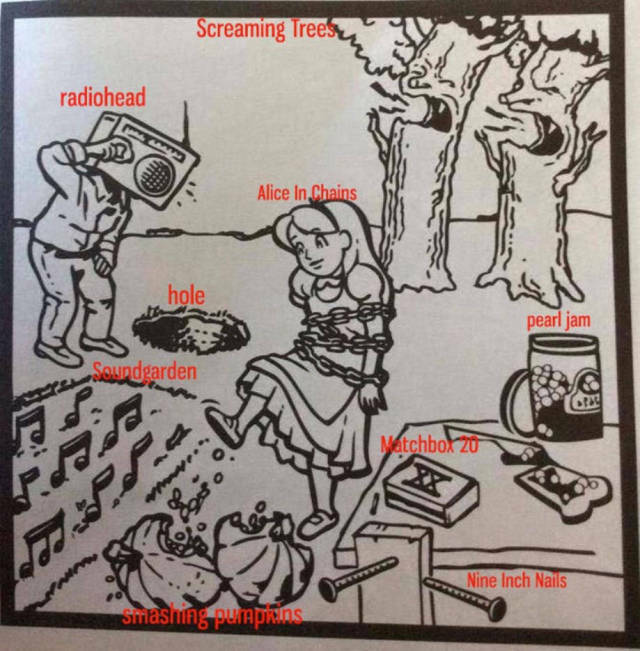 Known as a “rebus”, this type of brain teaser uses pictures to represent words or parts of words. This one features popular 90s bands and will put you to the ultimate music trivia test. 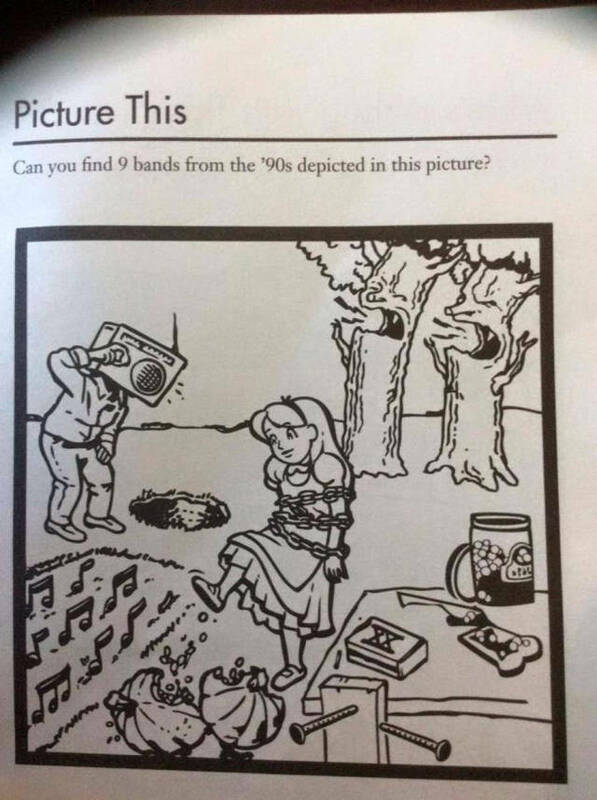 How many did you find? Scroll to the bottom for answers!